Australia has something for every palate, whether you’re an adventurous eater or a comfort seeker, a fine dining guru or a streetfood junkie. 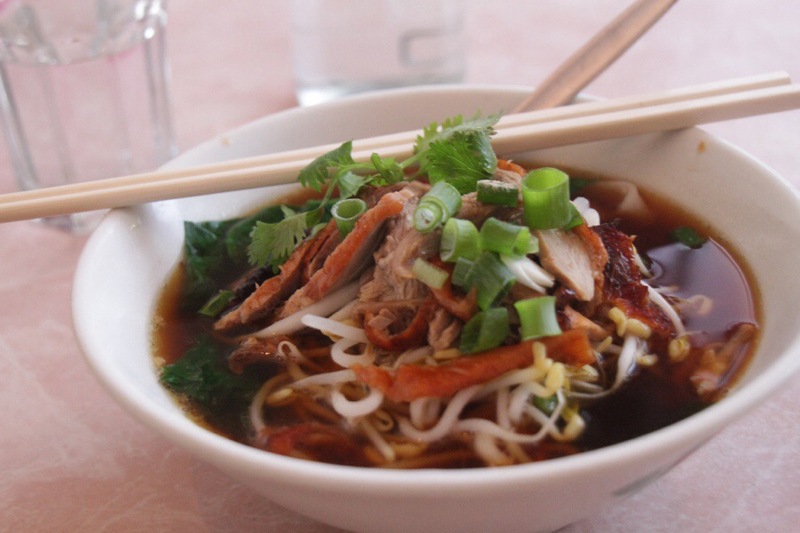 But with so many food options at hand, making the decision of where to eat can be daunting. Lucky for you, we've gone and done all the (delicious) work. 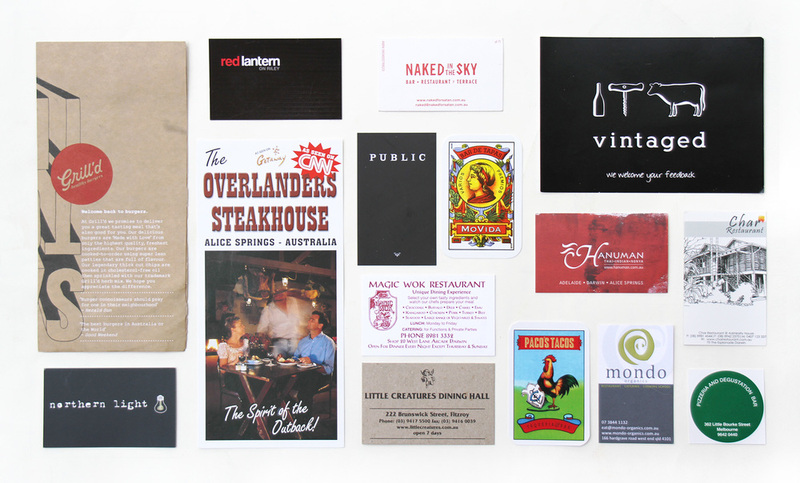 So here is the list, in order, of our top 10 meals Down Under. Happy dining! Walking into this warehouse-turned-eatery in Melbourne’s hippest neighborhood, it’s hard not to fall instantly in love. An impossibly expansive dining room, smart industrial-chic decor (we loved the palette tabletops and beer bottle chandeliers), and a wall of windows looking out to the street make this place a perfect spot to sit and ponder your next moves over a flight of their craft beers and delicious pizza. A glowing example of how to do fast food right, Grill’d caught our eye for its food philosophy, serving up the highest-quality local ingredients for their burgers. We absolutely loved the Darlinghurst location, with its vertical subway tiles and bold wall graphics. Since this chain has hit it big, they’re sprouting up locations all across Australia, so get out there and find one near you. 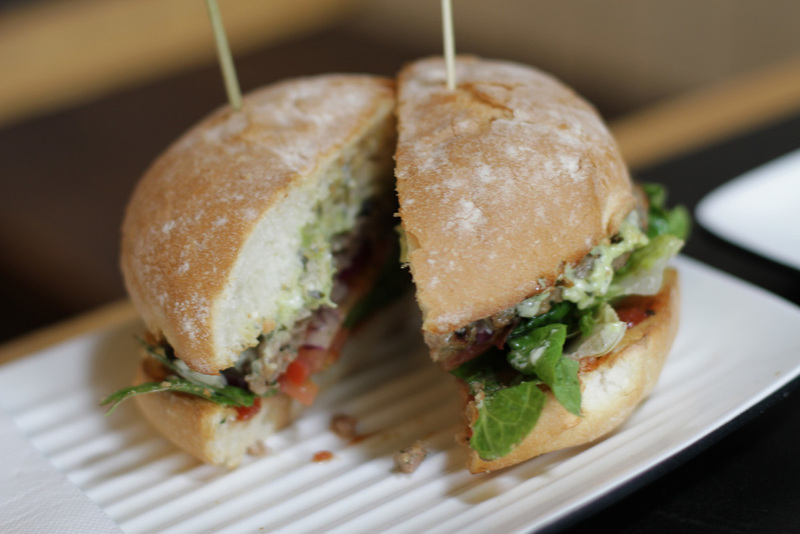 We devoured the Baa Baa Burger (local grass-fed lamb, avocado, cheese, spicy mayo, lettuce, and tomato on a sourdough roll), which we would order again and again and again. Tucked on a side road just off the main drag in Bondi, this restaurant is as unassuming as they come: white walls and pink tables topped with tissue dispensers make it clear that this is a no-frills kind of place that is well off the tourist map. The hand-written Chef Suggestion chalkboard caught our eye as we were seated, so we ordered two dishes from it: drunk noodles and duck noodle soup. All it took was a whiff of our quickly delivered meal for us to realize why this restaurant is a favorite of locals: it’s totally authentic. This is the kind of place Outback Steakhouse is trying to emulate. Upon walking in, patrons are instantly transported back in time to Central Australia’s cattle driving cowboy days, with saddles lining the rafters and livestock hides displaying the region’s various branding logos. This is a classic outback saloon, serving up standard grilled proteins like beef and chicken, along with Aussie delicacies like kangaroo, emu, camel and crocodile. Get a flag of your country placed on your table and then order the sampler to try it all. Tip: go in the high season and be treated to a wobbleboard show. Normally, create-your-own dish places seem more gimmicky than about the food. But when we heard about a place described as both an “experience” and “institution” on more than one occasion, we ditched our preconceptions. 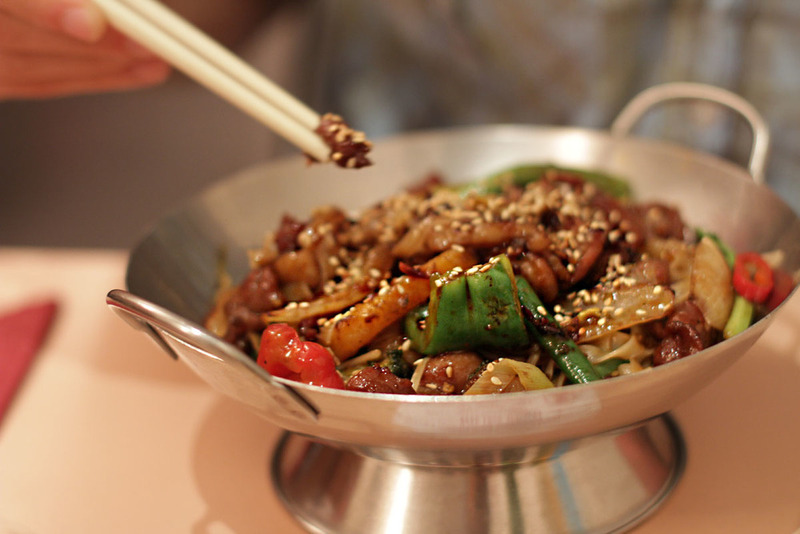 Where else can you get customized wok stir-fries with obscure Australian ingredients? A friendly waitress gives newcomers a rundown, and then the fun begins: assemble a tray of veggies and meats like crocodile, kangaroo, emu, camel and even horse; then, pick your sauces and pass it into the fiery kitchen. It turns out delicious no matter what you pick. Just don’t get too ambitious: you pay based on how much your wok weighs. Set in a quiet Brisbane neighborhood, this open-aire restaurant absolutely floored us. Australia’s first certified organic restaurant, Mondo Organics opened in 2000 and has built a name for itself using ingredients that, along with its namesake, are local, sustainable, and seasonal. The elegant-yet-casual interior is warm and inviting, with an upscale beachy feel owing to the large windows with wooden shutters. 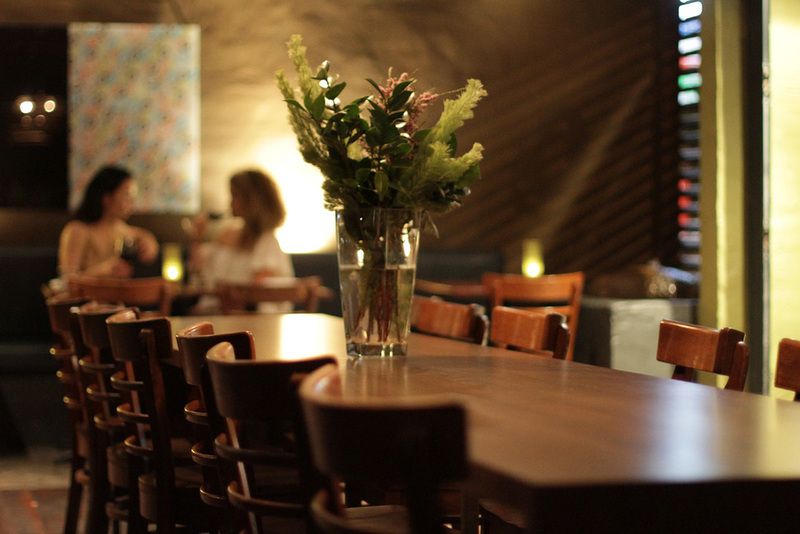 We dined on two home run dishes: pork belly and slow-roasted pork shoulder. Next time we’re in town, we’ll enroll in one of their cooking classes! A walk around the food vendors at the Parap Saturday market in Darwin is a trip. Passing by the dragon fruits, the bubbling curries, and fiery woks, you may begin to wonder if you somehow teleported to Southeast Asia. This buzzing market scene is exactly the stuff of our travel wishlists, and part of the reason why Darwin is known as the market capital of Australia. 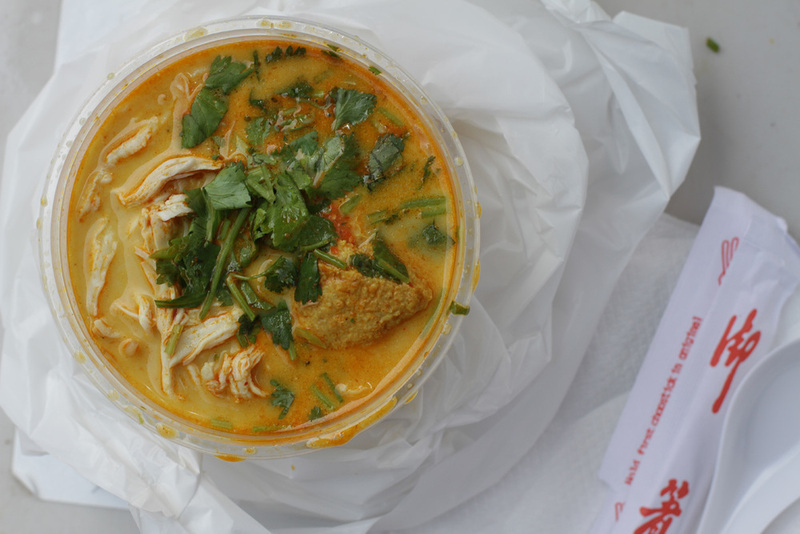 Try the laksa, a spicy Indonesian coconut noodle soup, by hopping into the line for Mary’s (it’s the longest one). Guaranteed bliss. A short walk from the Queen Street Mall, this sophisticated yet casual fine dining spot in the heart of the Central Business District is sure to wow. Truth be told, we found this place on a chance recommendation from a tweeting stranger based out of Brisbane. But we would keep coming back to this beautiful restaurant for the craft cocktails, friendly servers and clever menu. Anyone who’s heard of Kentucky-Fried Chicken must try the KFD (D as in Duck), for a poultry revelation. Our most memorable dish? 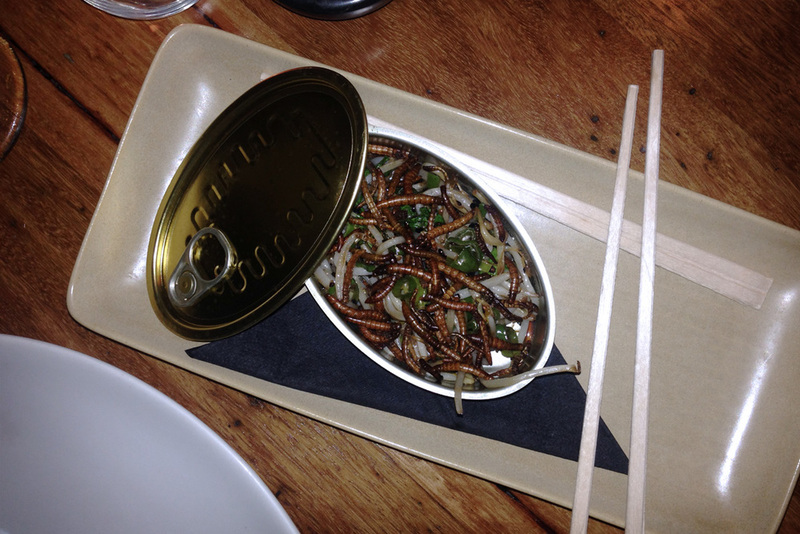 Hands down, the “can o’ worms:” fried mealworms with bean sprouts tossed in soy sauce, served in a can and eaten ever-so-elegantly with chopsticks. Crunchy, salty and delicious! We thank the dining gods (and Frank Camorra, executive chef) for making MoVida more accessible, with restaurants scattered across Melbourne and Sydney. The bright and airy Aqui location is chic and adorable, with its smart design touches like bright plastic crates hanging over the bar and hand-drawn cartoonish illustrations of octopus and other ingredients, which give the otherwise ultra-modern space a playful touch. Start with the out-of-this-world delicious anchoa tapas: house-made crackers topped with anchovies and smoked tomato sorbet. Even after sharing three more spectacular courses (wallaby tartare, calamari sandwich, and braised beef), we were sure to save room for the flan, which was silky perfection. Neon purples, pinks and blues illuminate the dining room, a testament to the unique experience Hanuman is sure to offer every diner. Our interest was piqued as soon as we heard the food described as Thai-Indian, which sounded like a win-win to us. Eager to sample as much as possible, we ordered what seemed like the whole menu: butter chicken, coconut prawns, beef massaman and spicy eggplant, along with the mind-blowing must-try signature dish: lightly steamed oysters with lemongrass, basil, ginger, chili and fresh coriander, served in little clay pots. The unique bold flavors won our tastebuds over, but our above-and-beyond server, who helped us navigate the menu to create such a memorable meal, won our hearts. 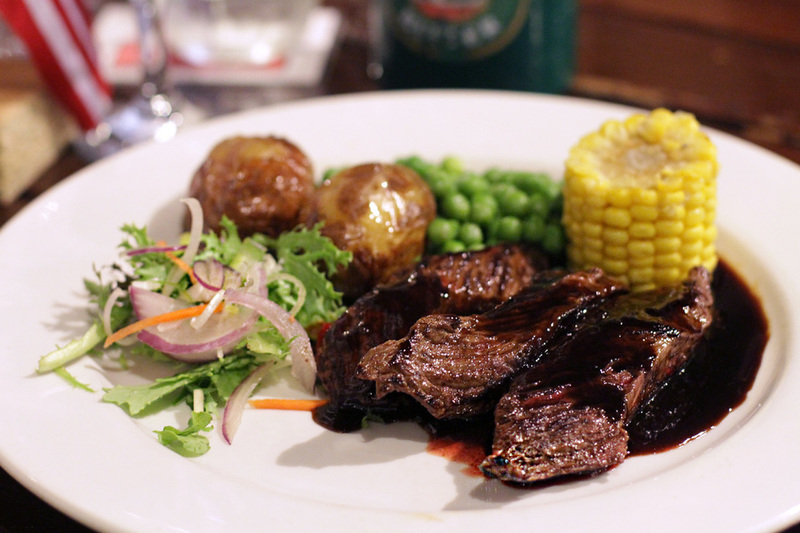 We know there are many more amazing meals out there, so if you've been to Australia, where's your favorite place to eat? Let us know in the comments!